← “O BREXIT, BREXIT, wherefore art thou BREXIT”? The latest parliamentary election results in Richmond London and Sleaford Lincolnshire, have come as little surprise to us politics watchers, has it? No, once the hard left, orchestrated by the entryist Momentum conspiratorial organisation, got Jeremy Corbyn ‘re-elected’ as Labour leader despite the MP’s passing a vote of no competence on him, , the writing was on the wall, wasn’t it? Again, the Labour headship have allowed the Party to be infiltrated and taken-over once more by a cancerous Trotskyist-like mob, just as they did with Militant in the 70’s & 80’s – that insurrectional and electoral destructive lot was finally banned by Labour’s NEC in December 1982 and expulsions of senior members followed. In the Richmond Park by-election, held a couple of weeks ago, silly-boy Zac Goldsmith who, already the failed Conservative candidate in London’s Mayoral election, thought he was more popular than his Party, but he got thrown-out as an Independent, when his ‘EU Remain’ constituents got utterly conned by the LibDem scammers, whose candidate stood on a platform pretending that THEY can prevent BREXIT at the twelfth hour and so deny the will of the British people, eh? The Conservatives chose not to field a candidate (BIG mistake, eh? ), but while Goldsmith indeed got beaten, not unexpectedly it must be said, when the LibDems’ political nobody got half the vote, it was Labour that suffered the ultimate humiliating disgrace for a national party of ‘losing their deposit’, no less? Now, Labour were never ever going to win this seat in such a Tory/LibDem stronghold (one of THEM always wins) whereas they normally come a poor 3rd, but they are expected to pull-in some 12% of the vote, while this time they got under 4% – dreadful, eh? The most worrying thing for the Party though is that they actually polled fewer votes than they had members in the constituency for goodness sake – so much for the pulling power of Corbyn and his bloody Momentum crowd, don’t you think? Then followed of course last week’s Sleaford by-election’ humiliating result for Labour, albeit on a poor turnout, when their candidate was dumped into 4th slot behind both floundering UKIP and the shambolic LibDems, with the Tories retaining their safe seat by a mile, in a strongly BREXIT supporting community. Labour would be expected to have come a good second in such a seat, wouldn’t they? It is clear that the Labour Party are going nowhere these days, particularly when BREXIT is at the centre of the debate, because they are completely out-of-touch with the ordinary working-class people that they have relied-on in the past to vote for them, wouldn’t you say? At this stage, Labour is possibly some 17 points behind the Conservatives in the polls, when they ought to be at parity at least, surely? Sadly, the days are long gone when Labour were able to offer a credible alternative to the Government, so the soothsayers are predicting a disastrous showing for Labour in the next General Election, whether that is in 2020 or even sooner, eh? The current frontline Labour figureheads, supported by lefty activists, have their heads firmly stuck in the sand however, and fervently deny that there is the slightest problem, don’t they? Yes, we see that from the likes of parochial London centralist MP Diane Abbot, a prominent talentless nobody, apparently beloved by the BBC so given protuberant unwarranted airtime, particularly by powerful and influential political commentators like Andrew Neil and Andrew Marr, eh? [Four years ago, the BBC found that them paying her breached their own regulations and that she was given an excessive number of appearances – why is it still happening then, eh?]. Now, outspoken overambitious Abbot’s only claim to fame is that she was the first black woman of Caribbean background to be elected to Parliament, as of some thirty years ago. She nevertheless secured a shadow-Minister’s job (Public Health) as a booby-prize from Ed Miliband for coming ‘last’ when standing against him in the 2010 leadership election, but he had to sack her for disloyalty after just three years. She got back-in again on the Opposition front bench as shadow International Development secretary just simply because she is one of Corbyn’s best mates and biggest ally, then was promoted to shadow Health secretary, and is now currently unbelievably elevated to shadow Home Secretary, no less? Such promotions were secured of course simply because others would not serve under Corbyn, would they?). Well, she is again spouting her ample mouth off in defending Corbyn’s Labour poor and dismal by-election performance saying it was simply all down to past disunity infighting and predicting that the poll rating gap will be gone within a year (fat chance, eh? ), as well as telling us that while respecting the Referendum decision, nevertheless the BREXIT voters were so misguided that they had to be protected from themselves by Labour’s future insistence in Parliament that what is good for the British people is protected, so we must stay in the EU single market and accept the influx of untold numbers of inbound foreigners (precisely what the working class people of this Country had voted against on 23rd June, eh?) – a bit akin to the Liverpool Labourites slogan “Better to break the law than break the poor” from the 1980’s, don’t you think? However, many Labour MPs, particularly the long-serving ones, have got the wind-up, haven’t they? Well, they know that scores of them will be looking for a new job in under four years at best, don’t they? Not only are Labour becoming increasingly out-of-touch with their traditional electorate and the real world of British politics, but the new constituency boundaries that are certain to come-in, now that the Tories have a working majority, will certainly do for a couple of dozens of them, for sure? So, at the next General Election PM Terresa May can expect to secure a very sizable majority of say about fifty to a hundred, can’t she? 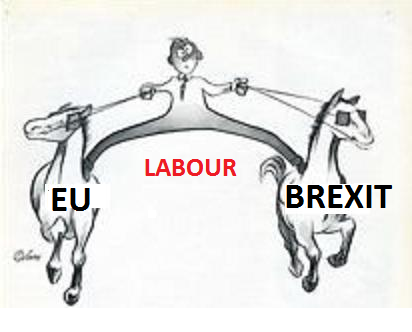 Furthermore, Labour will have little chance of success, not least because they are currently getting up the noses of both camps in the BREXIT stakes by riding two horses at the same time – on the one hand claiming they won’t frustrate BREXIT so will support Britain leaving the EU, and on the other hand voicing backing for freedom of movement and retaining membership of the single market – they are heading for a painful fall, don’t you think? They should be focusing on the best plan for the UK when OUTSIDE of the EU if they ever want to regain power, shouldn’t they? The way things are going, Labour are well on the road to become the party of the 0% (Steve Reed MP Labour), and it aint going to take that long either if the fundamental problems aren’t dealt with urgently, will it? Jeremy Corbyn is a millstone around the neck of Labour and he is intent on dragging the Party to the bottom of the canal, isn’t he? This entry was posted in AUSTERITY, benefits, community, economy, education, Elections, farming, fish, government, industry, manufacturing, political parties, Politics, ships and tagged David Cameron, de-industrialisation, industrialisation, Jeremy Corbin, Jeremy Corbyn, Labour Party, libdems, THE RED FLAG, tony blair, UK General Election, Unions. Bookmark the permalink.